USB Safely Remove 5.1 released! 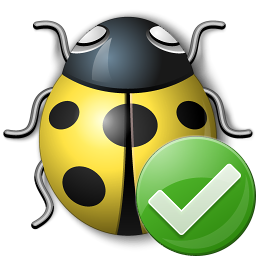 We are happy to announce immediate availability of USB Safely Remove 5.1! This version mainly contains speed improvements and fix for critical bugs so it's highly recommended to upgrade. Note! Due to importance of this release all those users whose upgrade period expired between December 26th, 2011 and May 29th, 2012 are still eligible for this upgrade. Download now or read more below. The program device scanning mechanism was optimized for speed. Now the program scans for hardware changes more quickly while loading the system less. Update from May 29, 2012: USB Safely Remove 5.1.3! We have just released a small fix for the version 5.1. This release has some language improvements and a minor bug-fix: the program could display the technical error when faulty device is connected or the computer is heavily loaded by another application. This update is also free for those whose license upgrade period is ended between December 26th, 2011 and today, May 29th, 2012. How to upgrade? Just download using the orange “Download” box below and run the installer, it will do the upgrade automagically. Submitted by Nikhil Tom (not verified) on Sun, 04/29/2012 - 15:34. Submitted by anonymous (not verified) on Mon, 04/30/2012 - 23:31. Submitted by IgorSR on Tue, 05/01/2012 - 11:28. Submitted by Haubi (not verified) on Tue, 05/01/2012 - 01:15. It runs perfect! Thanks for the update! Submitted by zonone (not verified) on Sun, 05/13/2012 - 04:28. Submitted by aditya (not verified) on Mon, 05/14/2012 - 09:58.
if you check "simple menu"
Submitted by anonymous (not verified) on Tue, 05/15/2012 - 18:14.
if you check "simple menu" option on "Look and Feel" tab then you'll be unable to eject memory cards from card readers. Submitted by anonymous (not verified) on Wed, 05/16/2012 - 01:40. I have two problems with the program one of them happens when hidden unit names when there is no case cards inserted in the device manager the letters of the devices are made with the yellow sign to work properly I have to uncheck that option in the program in which I mentioned earlier .. Furthermore install the new version and it works fine except that when you restart the program does not start even having checked the option to start with windows hope can help with both problems, thanks. Note: Sorry if English is translated wrong. Submitted by anonymous (not verified) on Sun, 05/20/2012 - 14:04. After upgrading to 5.1 Windows XP SP3 hangs at reboot and shutdown. I deinstalled the program first before installing the new version. Submitted by Robin (not verified) on Fri, 06/01/2012 - 07:35. I have a free Givaway Licence for ver. 4.7. If I upgrade, will it be only for limited period. Submitted by anonymous (not verified) on Tue, 08/28/2012 - 16:14. Submitted by Liton Jontro (not verified) on Wed, 10/31/2012 - 22:52. I must to say,This safety application really much helpful to me & trust on it. Specially I request to everyone can try it trustfully.........................................................Thanks to All. Submitted by daniel337 on Sat, 01/26/2013 - 02:12. What about support for Windows 8 with "USB Safely Remove"?? No word to read, no information on your website. Please answer, thank you! Submitted by Park Sinae on Tue, 03/05/2013 - 07:03. I Koreans can not use the U.S. Dollar. Submitted by IgorSR on Wed, 03/06/2013 - 13:45.